Assoc. Prof. Dr. Çağcil Yetim from American Clinic was an invited in the morning program “Mirëmengjes Kosovë” on RTK. 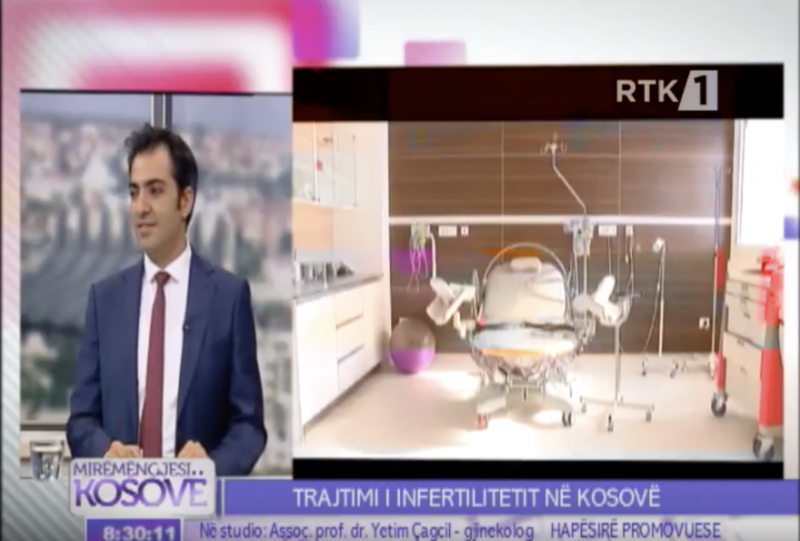 During this interview, he spoke about the topic: “Treatment of Infertility in Kosovo.” Also during this program was broadcast a story that includes the services offered by the American Clinic. The main part of the story was also the inauguration of the new facility, which was made by its founder Dr. Behar Kusari, the event that happened just in the note of its 10th anniversary of Clinic. Dr. Behar Kusari was recognized as the largest Balkan expert in the field of assisted reproduction.